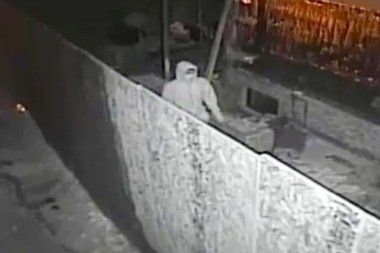 FOREST HILLS — The ninja arsonist who has set a string of homes on fire in Forest Hills struck again early Sunday, torching a home he already burned last month, police said. The building at 112-35 69 Rd., which was set on fire Nov. 15, was re-ignited just after midnight on Sunday, Dec. 6, police said. The FDNY had put out the Nov. 15 blaze before it was able to do serious damage to the home, but the latest round of flames demolished the structure, officials said. Sunday's two-alarm fire was reported just after midnight and was put out after 2 a.m., according to the fire department. On Sunday the NYPD confirmed that two more fires — an Oct. 20 blaze at 70-35 113 St. and a Nov. 10 fire at 108-13 67 Rd. — were part of the arson pattern set by a suspect police sources said was dressed all in black and looked like a "ninja" in surveillance video. The burned homes — which have all been under construction and vacant — are all clustered between Jewel and 65th avenues and Queens Boulevard and the Grand Central Parkway. 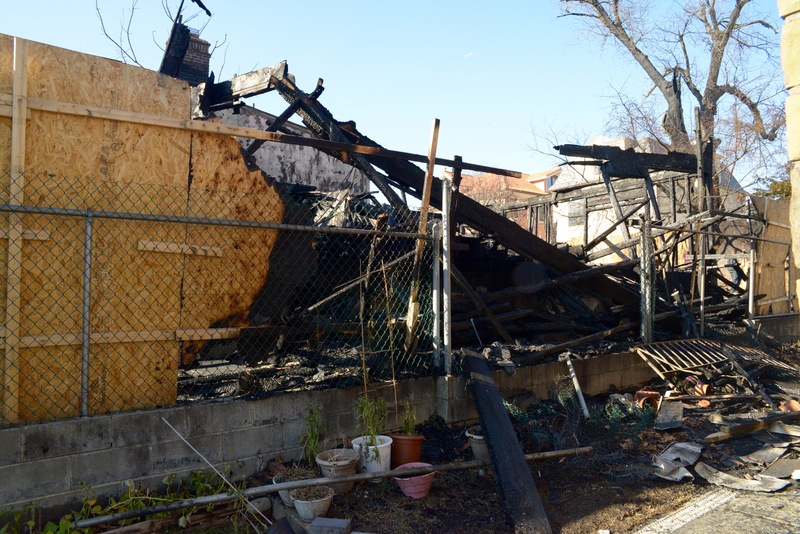 The last fire allegedly started by the suspect had been on Nov. 25, police said. While two of the fires spread to other homes, there haven't been any injuries. Leonora Sangcap, 57, lives next door to the burned home with her brother, sister and nephew. While the home was not targeted, they've been displaced from the small brick home because of damage from Sunday's fire, including water, smoke and some fire damage. She wasn't home at the time of the fire but rushed back when her brother called to tell her the house next door — which the suspect already tried to burn — was burning again. "I'm heartbroken," she said. "I don't understand why people have this motive to destroy other property?" Police sources said that investigators are looking into a variety of possible motives for the destruction, including anger against the new homes in the neighborhood that some locals say do not fit the area, insurance payments and circumventing zoning regulations. Some people in the neighborhood have said they fear that the arsonist is targeting the Bukharian Jewish community. A spokesman for the NYPD said religion is not considered a motive in the fires.